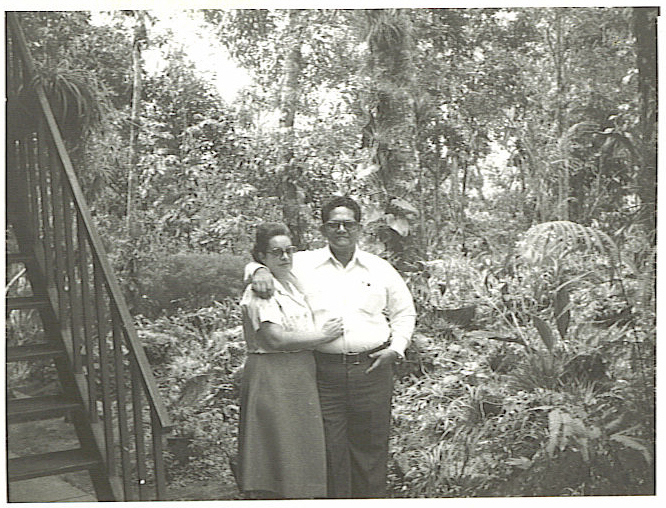 Life in Nicaragua around the 1950's was definetly not easy. Dealing with a dictatorship, and a communist regime (the Sandinistas) wanting to overthrow the government does not make life any easer especially when you are a political activist aspiring to become a pharmaceutical doctor at the age of twenty. When my grandfather was around twenty years old, he was residingt a part of Nicaragua that was completely dominated by the Sadnistas rebels. This town is called Esteli. Esteli, is a very poor country. The majority of the people who live there are working class farmers. In 1953, th only way a person woud be able to live a decent living would be to work night and day on a farm, or study to become a professional. My grandfather did both at this age. He worked on a farm as well as a laboratory assistant at the university, and studied. Around this time, my grandfather was in a relationship with my Grandmother Gloria. After years of dating, my grandfather realized that he wanted to initiate a new life and family with Gloria. She is every that he dreamed of and couldn't imagine his life without her. The idea of marriage was easier said than done. Though both my grandparents worked on farms, and my grandfather had much more job opportunities, my grandparents were extremely poor. Most of the money my Grandfather earned went to his college tuition, leaving very little for food and shelter. Another factor was that of my great grandparents on my grandmother side. Both of them were really racist toward my gradfather because of his "cafe con leche" (coffe with milk) complection. When my grandfather asked my grandmot her's parents for her hand in marriage, they ultimately refused. It go to the point where my grandmother gave back her engagement ring to my grandfather, stating that if al these conflicts are surfacing, it would be for the bes that they shouldn't get married. It was until my grandfather heard a song by a trio called "Los Panchos" that gave him the drive to fulfill his destiny, and eventually got married to my gradmother at the age of twenty. Up until a couple of weeks ago, my grandparents celebrated their 50th wedding anniversary. That one song that drove my grandfather to pursuit my grandmother, remains to be their song reminding them of their wedding. Esteli is a simple town in Nicaragua. Along with the every day life being somewhat basic, so was the music. The majority of the people back then and today listen to a genre of music call trio (music ensemble with only three members). 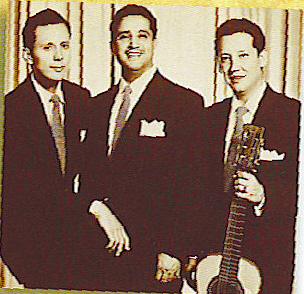 One of the most successful trios in music came from Mexico, and there name was "El Trio Los Panchos". There musical style is very simple. It's three guitars, playing the same thing in unison, while harmonizing their vocals. On ocassion, one guitarist will break free from the unison, and improvise. In these days, what was most important was the quality of singing, and not so much the instrumental arrangement. What people had to say was valued as more important in Nicaragua rather than what a person was playing on their instrument.